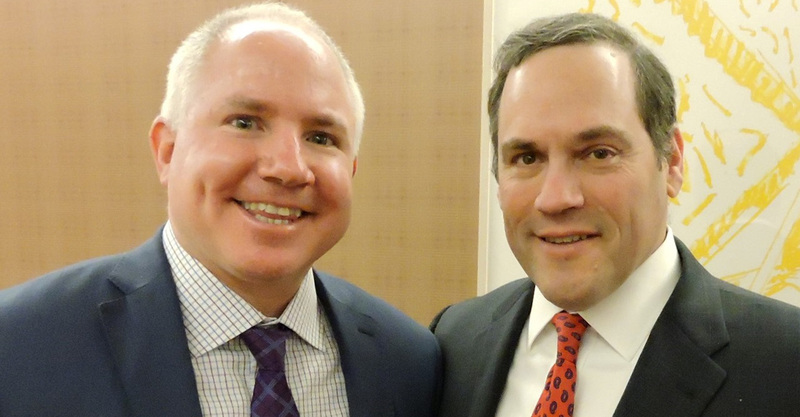 Matthew Dunn (left) and Mark Koestler of Kramer Levin in New York. It’s difficult to overstate the challenges facing employers in the current immigration landscape. Mark Koestler, the co-chair of Kramer Levin’s immigration practice, portrays the situation as unprecedented – that President Trump has initiated a “war” against business immigration law. His co-chair, Matthew Dunn, adds that having top-notch legal advice “has never been more important” for businesses. The New York-based partners, both Brooklyn Law graduates, lead an award-studded practice that is on the front lines helping a wide mix of clients navigate the uncertainty. Lawdragon: Please start out by describing the business immigration team at Kramer Levin. How big is your team, and what types of expertise and experience does it feature? Mark Koestler: With ten lawyers in New York and three in Paris, Kramer Levin boasts an internationally recognized business immigration group. We assist our clients in all aspects of business immigration law from counseling and developing strategic plans to preparing and filing nonimmigrant and immigrant visa petitions. We also grapple with sophisticated naturalization and expatriation issues. Matthew Dunn: Our clients range in sizes from Fortune 500 companies to startups to celebrities and to high net worth individuals. Our business immigration group had practiced together for more than 10 years before joining Kramer Levin in 2004. Today, our team consistently receives top-tier rankings from Chambers USA and Chambers Global and includes three of the top 20 business immigration lawyers in the country, as designated by Lawdragon and Human Resource Executive magazine. LD: Do either of you or the team tend to focus on a particular industry or type of business? MD: As highly experienced practitioners, we advise businesses in virtually every sector of the economy, including financial services, media and advertising, technology, and entertainment and sports. That said, the majority of our practice is devoted to working with financial firms and advertising/communications agencies. With many years of experience in representing these clients, we have an extensive understanding of their needs, how they operate, who they hire, and most important the industry-specific immigration issues they face. We also help our corporate clients navigate the issues arising from mergers, acquisitions, corporate restructuring and reductions in force. LD: Before getting into specifics, can you discuss the overall environment in the Trump era for businesses when it comes to the immigration issues they face? Is there a constant state of anxiety or apprehension that is unprecedented in your experience? MK: The Trump era has brought a new and upsetting reality to business immigration. We have never seen anything like the war that President Trump has unofficially declared and waged on business immigration law. Through changes in policy and interpretations of existing law, the administration is seeking to reduce levels of legal business immigration by making it more difficult to obtain approvals for professionals, managers/executives, and individuals of extraordinary ability. There is a tremendous amount of anxiety in the business community, including at both the corporate and individual levels. If the draconian policies and practices of the administration are not curtailed, the United States’ ability to attract the best and the brightest from around the world will be irreparably harmed. LD: Do you have a team-wide strategy for keeping up to date and informing clients on such a wide range of real-time developments? Has the team grown since the election in response to increased demand? MD: One distinguishing feature of our practice that resonates particularly well with clients is that attorneys serve as their main point of contact and work on and oversee every case. At most other immigration firms, paralegals lead cases and address client issues. Because we are in constant contact with our clients, we regularly keep them updated in terms of breaking news. Moreover, whenever there is a significant change in immigration policy, regulation or law, we prepare and send to our clients our electronic “Immigration Alerts,” which outline these changes and their impact. We also conduct seminars, both at our firm and our clients’ offices, where we review various visa categories and analyze current trends and issues. The most recent presidential election has caused fear and anxiety in the business community leading to many more calls from existing and prospective clients. With the increase in volume of work, we have added additional staff to maintain our policy of returning calls and emails on the same day – if not the same hour – that we receive them. LD: Are there new types of trainings or counseling that you now emphasize for all clients? Perhaps making sure they really prepare at-risk employees who need to travel about how to act, or what to say, at certain locations where their interactions might jeopardize their return? MK: Ensuring that clients understand the law and how they qualify for a specific visa category has never been more important. Having this understanding is critical, and helps alleviate anxiety, when dealing with officers at U.S. consulates abroad, as well as Customs and Border Protection officers at U.S. international airports, and at preflight inspection stations abroad. Being prepared, in terms of documents and knowledge, and accurately describing what an individual will be doing in the United States can make the difference between an admission and a refusal. Throughout the year, we hold several seminars for our clients, where we discuss the trends and issues that we are seeing and hearing about, and how to address them. LD: As the application season draws near, can you discuss problems you are seeing or anticipating with the H-1B petitions, for visas for foreign workers in specialty occupations? Are you preparing more or fewer cases than in past years? MD: Under the current administration, U.S. Citizenship and Immigration Services (USCIS) created novel ways to challenge the vast majority of H-1B petitions that were selected in last year’s H-1B cap lottery. Their favorite areas to attack included whether the correct wage level for a given position was used, and whether a position required at least a Bachelor’s degree in a specific field. Prior to Trump taking office, we rarely saw these issues raised. After reading our replies to their questions on these issues, USCIS ultimately approved virtually every case that we filed. We anticipate that USCIS will raise these issues (and others) once again in the next cap season, which begins on April 1, 2018. In the last 5 years, the number of H-1B cap cases that we have filed have increased every year. We anticipate that we will file even more this year than last. LD: How dramatic of an impact are the new USCIS restrictions on what classifies as an “Economist” professional under NAFTA? MK: The change brought about by USCIS’s recent memo on what constitutes an Economist under the NAFTA agreement has had a limited impact on our practice, as we have long counseled our clients to use this category only for positions with a foundation in economics. Now, more than ever, it is critical to analyze a position, its duties and its requirements to determine whether it would pass muster with USCIS. LD: More generally, for laypeople who are not experts, given some of the recent comments attributed to President Trump, they might assume the administration would be hostile to unskilled workers and welcoming to more highly educated and skilled workers. But it sounds like you are seeing more challenges as well with specialized-knowledge and managerial workers – are there ways or new strategies through which employers can meet more difficult standards? 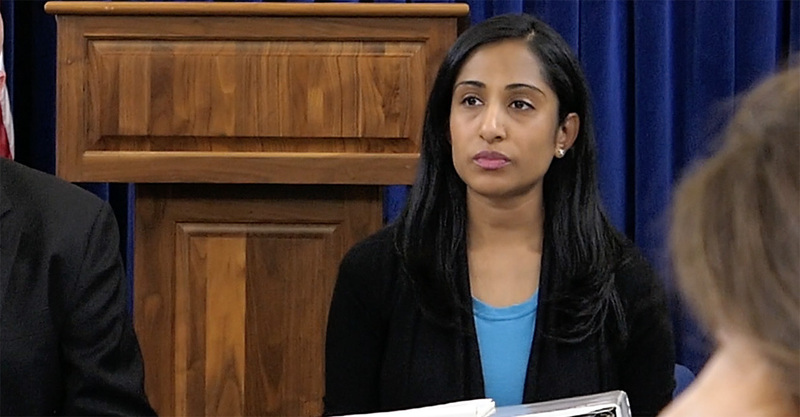 MD: The Administration has been hostile toward professional, managerial and highly skilled workers, as well as individuals with extraordinary ability and specialized knowledge. The government has taken a very restrictive stance in their adjudication of business immigration cases. Effective strategic lawyering has never been more important in immigration law than it is today. With a careful analysis of trends in adjudications, we can proactively address any potential issues. Once identified, a potential issue has to be addressed thoughtfully, as each agency that touches the case may take a different position on the filing. Depending on the circumstances, there may be more than one way to handle and prepare a case – deciding the best avenue to pursue is as important as the arguments we make in the petitions we handle. LD: Are there other observations or anecdotes you can share about your immigration work in these times, which are certainly some of the most intense in your area of practice? MK: Simply put, since Trump has been in office, there is no such thing as an easy business immigration case. Straight-forward cases that were approved without question pre-Trump, are now being challenged as a matter of course. The change in adjudications has been so dramatic that it seems as if USCIS officers uniformly decided to develop innovative ways to create issues in seemingly approvable cases. As a result, it has never been more important to have effective legal counsel, who can prepare and file the strongest cases possible, and rescue clients when they encounter government-created obstacles. Despite these difficult times, we successfully replied to the onslaught of Request for Evidence this past H-1B cap season, resulting in the approval of just about every petition that was selected in the annual H-1B lottery. LD: Are there any other legal issues or trends you want to comment on in terms of the types of work that is occupying your practice? MD: The government is also ramping up its enforcement efforts. This past year, we’ve counseled numerous companies that were the subject of agency investigations, including H-1B Department of Labor Wage & Hour investigations and I-9 audits led by Immigration & Customs Enforcement. What has become clear to us is that the government does not discriminate when it comes to selecting its targets. A company can be any size, in any industry, and may or may not be a household name. MK: Penalties in these investigations can result in significant fines, and in certain cases even prison sentences. We highly recommend that companies conduct self-audits of their public access files, which must be prepared and maintained for each H-1B employee, as well as their I-9s. We have experienced a dramatic increase in requests from both our existing clients and new clients to conduct these internal audits, which have become a considerable part of our practice. LD: Can you share a few aspects about the practice that you find particularly satisfying or enjoyable? MK: One of the most gratifying aspects of our practice is partnering with corporate clients to develop short- and long-term immigration strategies for their employees and prospective employees, much like solving a highly complex puzzle with many moving parts, which strengthen the ability of these companies to compete in the global economy. We still get tremendous satisfaction from learning that a case has been approved, knowing that we helped both the employer and employee. We also enjoy the individual interaction with our clients (generally, human resources professionals or managers or lawyers in the General Counsels’ offices), with many of whom we have developed long standing friendships. Finally, we feel a tremendous amount of satisfaction knowing that our practice helps strengthen the U.S. economy. LD: What advice would you give law students or young lawyers who want to succeed in this type of practice? MD: There is plenty of room in the field for good immigration lawyers. When it comes to business immigration, a great resource for information and networking is the American Immigration Lawyers Association. The immigration bar is extremely collaborative, and by being active in AILA, a new lawyer will quickly meet others and become embraced by community. If you enjoy helping others, are a critical thinker, a superior writer, and a tenacious advocate, you have what it takes to succeed as a business immigration lawyer.